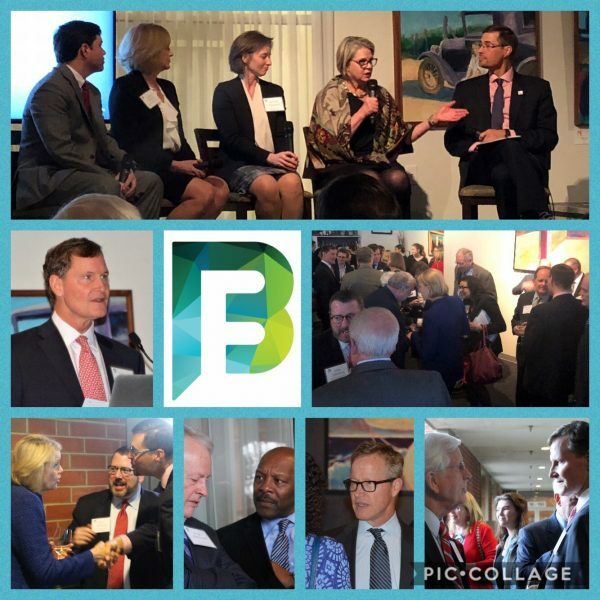 Last night, The Belk Foundation convened education leaders in Raleigh from school districts, nonprofits, state government, and philanthropy to think about education in North Carolina and across the nation. “We must be innovative in North Carolina for the sake of our students,” said Johanna Edens Anderson, executive director of The Belk Foundation. The evening featured Jeremy Anderson, president of Education Commission of the States, a national education policy organization that serves as a partner to state policymakers, and then responses from leaders across North Carolina, including Jennifer Haygood, Acting President, NC Community College System; Mark Johnson, State Superintendent of Public Instruction; Janet Mason, 2018 NC Superintendent of the Year, Rutherford County Schools; and Margaret Spellings, President, University of North Carolina.